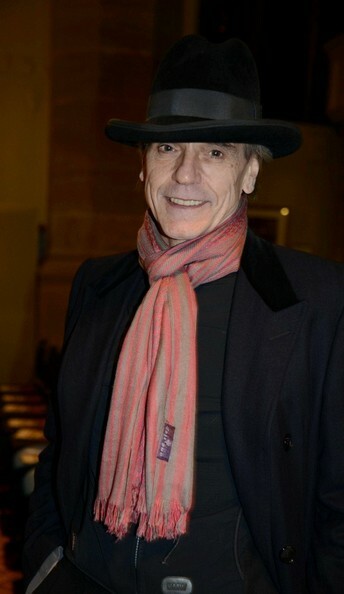 In the Candida Brady directed documentary, Trashed, actor Jeremy Irons turns civilian as he ventures across the globe in search of solutions to the ecological crisis, while uniquely casting himself as a protagonist. 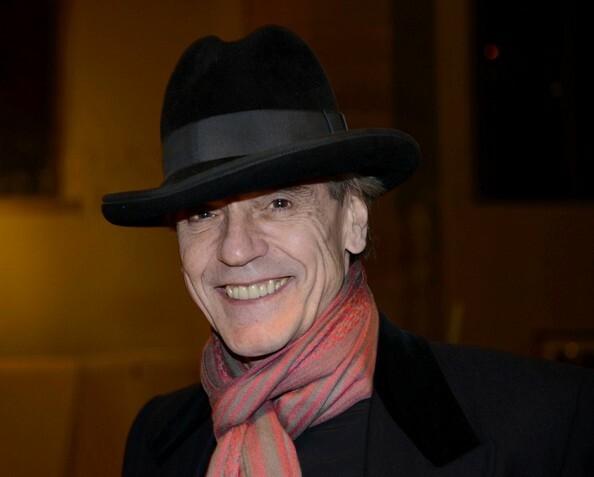 And Irons also ponders during this exclusive interview when phoning from a set in Budapest, what the ultimate responsibility of an actor’s voice should be in the real world. 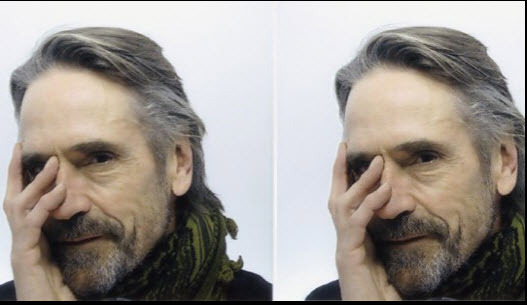 Here’s Jeremy Irons, talking Trashed. 1. Do you recall when you first became alarmed about the harmful and destructive problem of waste on the planet, and decided to do something about it? It didn’t happen quite like that. I wanted to make a documentary about an important subject. A subject which I thought should be brought to people’s attention. 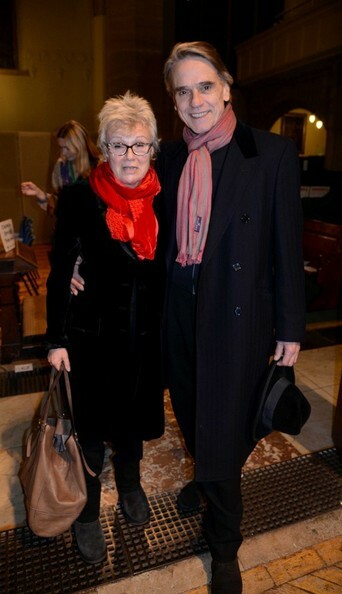 And Candida Brady, the director of Trashed, imparted some information to me. So I thought, this is an amazing subject. This is something we have to get on the screen, to make people aware of the situation. So it was really from her that I got the idea. You know, I always think of myself, I’m an actor and a storyteller. I normally tell fictional stories. But I see no reason why it isn’t a logical progression, to tell real stories. And I think the story of Trashed is worth telling. 2. And what led you to be part of this film as not only the narrator, but the very unusual position of protagonist in a documentary? Well, I narrate many documentaries. But now to be there in a way, as an audience member, somebody who knows nothing about the situation. Although I did of course know a little bit about it. But I wanted to ask the questions that the audience would have asked, had they had a chance. And I felt it was very important to be meshed into it, in that way. 3. 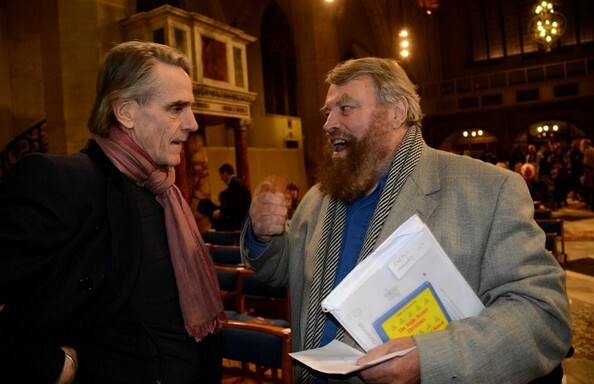 And how would you compare and contrast your very different roles as actor and activist? Well, inquiry is needed in both. If I’m playing a character in a drama, I have to inquire about the world he lives in. And the sort of person he is, and what he’s done with his life. So I have to discover all of that. 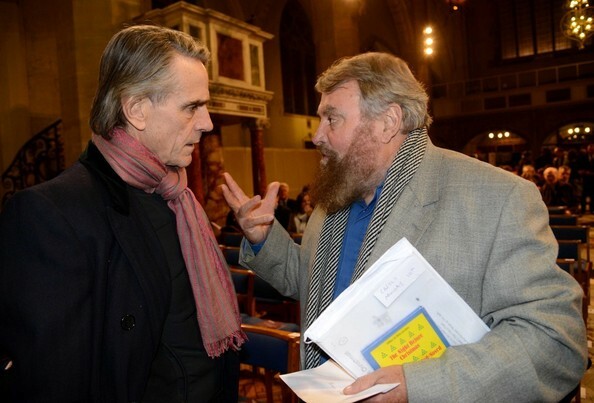 And the great advantage I have as an actor, is that I’m known. And therefore people will listen to me and watch me. And I feel in a way, that’s a responsibility. I have a voice. I should use it. And not just with drama. 4. Jeremy, talk about the most horrific part of Trashed, the deformed children even decades later in post-war Vietnam. As far as all those deformed fetuses in the bottles there, which was very upsetting, it was important to show that. And war I think, is something we have to fight against. You know, it’s hard to see the upside of any war. It may seem like a good idea at the beginning, but by the time you finish you think really, we shouldn’t have done that. 5. How does it feel to make that major switchup personally, from celebrity to just another civilian venturing out into the world among people, to talk about environmental issues. Rather than say, people venturing into theaters to see you? I love it. I’ve always believed that to be an artist, an interesting artist, you have to be involved in life. You have to care about life. It’s an enormous privilege, doing the work I do. It brings me into people’s lives, sometimes into people’s hearts. And not to use that intimacy that I have with my audience, to tell them something that I believe is important, would seem a terrible thing. And an abuse of my position. 6. And how do you feel your activism concerning the environment has changed you? When I see how people are amazed by this film, it gives me some of the joy maybe a teacher gets, when he sees people being really affected. And of course it’s the people in the audience who will get things changed. These big changes that we have to make to the way we behave and the way we live, they take time. And they build on themselves. And I see our film as being part of that process. 7. What about the challenge of opposing the huge corporations, and their stranglehold on the government? I think it’s an enormous shame, that governments have seem to lost the voice of the people. And who don’t want to be controlled by vast, amoral corporations. We cannot live in that way. And I think our governments have to fight corporations on our behalf. For instance, plastic makes money for a lot of people. But nobody has discovered a way to get rid of it. Our governments should be our guardians. We elect them to look after us. And not just to make people rich. 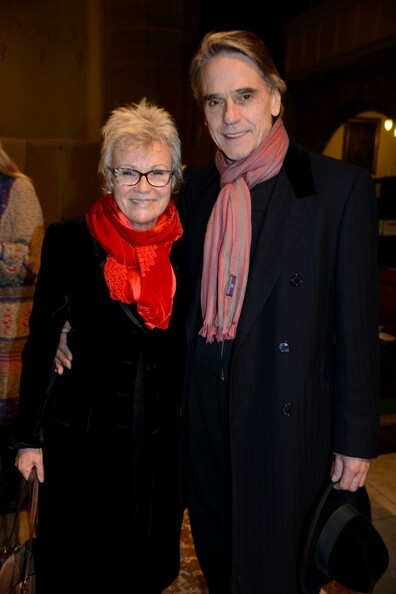 Actor Jeremy Irons appeared in Reel Pieces with Annette Insdorf on December 11, 2012. In this clip, Irons speaks about his new documentary film Trashed and what practical things we can do to improve our environment. Irons says we can find out from our legislators where out trash goes as well as get them to mark clearly what can and can’t be recycled. A new documentary about the ultimate fate of just about everything we lug home from the mall opens on Friday in limited release in the United States. 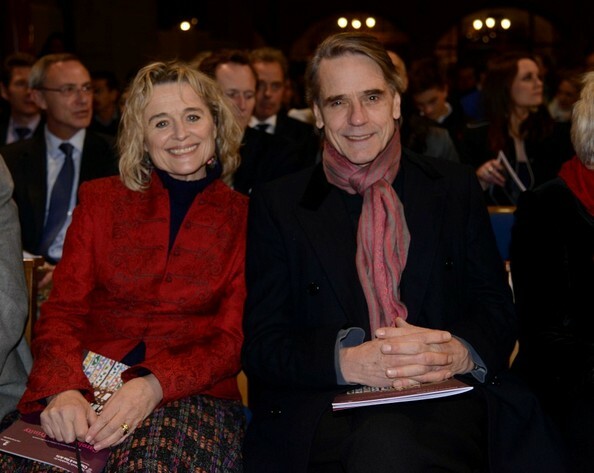 “Trashed,” directed by Candida Brady and starring Jeremy Irons, delves into the less festive side of consumerism and waste disposal — overflowing landfills in England, a toxic trash incinerator in Iceland, a hospital for children with birth defects in Vietnam. We sat down recently with Mr. Irons to talk trash. Following are excerpts, edited for brevity and clarity. Q. 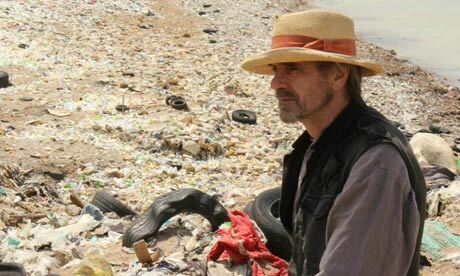 “Trashed” opens with a powerful image from Lebanon of a mountain of trash stacked high next to the ocean. Can you describe what it was like sitting on that trash mountain? A. It was appalling. I’ve never been so grateful to leave the “set” of a film. It is certainly something to look at, but what people who see the film don’t experience is the smell of dead animals and wafting chemicals that make you gag. There are flies and fleas everywhere, stray dogs tripping over rubbish and yapping furiously at the scavenging birds circling overhead. What really made my stomach turn was watching the steady stream of evil-looking runoff oozing from the bottom of the mountain of garbage straight into the sea. It looks and smells like poison, and there are still fishermen out there, although far fewer than there used to be. What fish they do catch certainly aren’t eating what you or I would care to eat. It was all just horrific, but what’s happening there is what happens if you do nothing, and it’s an illustration of what we are all doing only they haven’t bothered to hide it. Q. Has making “Trashed” led you to change any of your personal habits? A.Yes. And I don’t consider myself an environmentalist or activist — I’m hardly an expert on green living. But what I’ve started doing since making the film is that I take packaging off at the point of purchase. I consider myself quite capable of getting my tomatoes home safely without sitting on them, so why must they come packaged in plastic armor? And I think I can even get a pair of scissors home without chopping off my hand so I really don’t need that damned impenetrable plastic shell. Q.How do you think waste compares with climate change as an issue? Shouldn’t trash be an even more obvious problem that no one can dispute? A.It seems pretty obvious when you see a landfill or a the insides of a seabird bursting with plastic fragments. But so much of that is so removed from our everyday lives that it’s a bit like climate change and Bangladesh — out of sight, out of mind. And just like there are those who dispute the scientific evidence behind climate change, there are those who argue there is no connection between environmental toxins and health. In the documentary we talk to villagers in France living near an incinerator who saw cancer rates spike in their community. They took the government to court over it and were told that there was no proof of any connection. Just like some of the effects of climate change, some of these health effects are still down the pipeline. Finally, there’s also a lot of money in trash, as there is in the fossil fuel industry. In places like New York, it’s not just a lack of organization that results in so little being recycled, it’s also that there is a huge amount of money in trash disposal. The people who are getting rid of our waste at the moment have a fine industry and have no incentive to change that. Q.What practical steps would you recommend to anyone who sees “Trashed” and wants to do something? A.Find out in an intelligent way what happens to the waste that leaves your home, and decide whether this is something you approve of. You might be surprised to learn that, especially around New York, much of it is incinerated in areas with poor, disadvantaged communities. Are you O.K. with the poor getting your toxic ash? If you’re not, become a little motivated and write to your Congressman to ask if they think this is acceptable. I also would like to encourage people to actually buy something. If you don’t have a reusable shopping bag, please get one and get a second for a friend or family member. There are kinds that fold up as small as a Ping Pong ball and you can keep it in your purse or briefcase and never have to take a pointless plastic bag home again. And although you might get a few dirty looks, see what happens if you start taking the packaging off at the point of purchase. Retailers are very sensitive to their customers — you have the power to let them know what you do and don’t like, and they will listen. Q.What was the most surprising thing you learned while making the documentary? A.I didn’t realize that all this nondegradable rubbish and consumerism is in large part thanks to World War II and the massive war production apparatus that needed to be developed for peaceful purposes after the days of making weapons had ended. I was born in 1948, so it’s really only in my lifetime that this throwaway society has emerged. I do remember a time before plastic bags when there was just a lot less of everything. I’m still a bit shocked when I walk down Main Street and see all this stuff in the windows. Who buys it all? How could you ever find the time to wear or use it all? Maybe I’m just getting old, and I know that buying things doesn’t make you happy. But I feel like there’s a new social mood, maybe because of the economic crisis, more of us are reflecting on what we really need and what we can do without. Q.The Christmas shopping season is in full swing. What would you like to say to people as they head out to the mall or load up their Amazon shopping cart? A.Don’t buy people something they don’t need, let alone don’t want. Send them a kind message. I know we’re all supposed to keep on buying to get the economy going, but most of us don’t need very much — and in my opinion there is nothing like a lovely pair of warm socks or a good bar of soap. 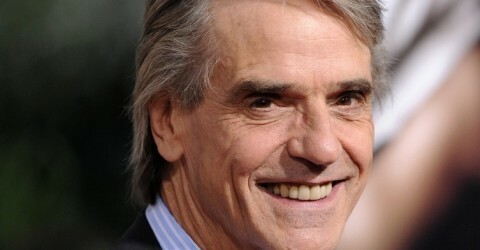 Jeremy Irons was interviewed about his new film Trashed, via phone by Doug McIntyre from Talk Radio 790 KABC. 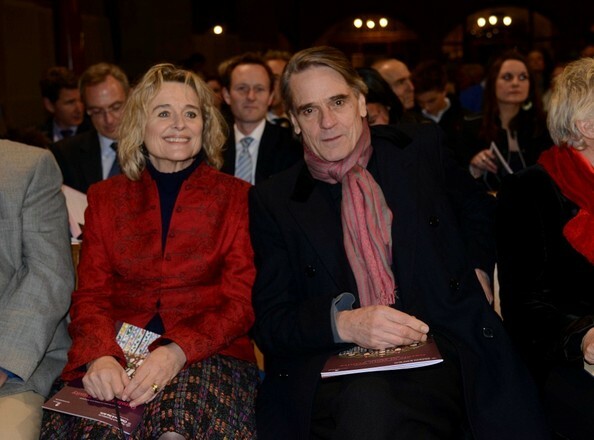 Jeremy Irons, the Oscar-winning actor, has teamed up with the British filmmaker Candida Brady to produce a new feature-length documentary called Trashed. It sets out to “discover the extent and effects of the global waste problem, as he travels around the world to beautiful destinations tainted by pollution”. We are used to actors/singers/celebrities, etc, highlighting a particular environmental cause, or narrating a documentary. But it is unusual to see someone such as yourself getting quite so involved in a project liked Trashed. 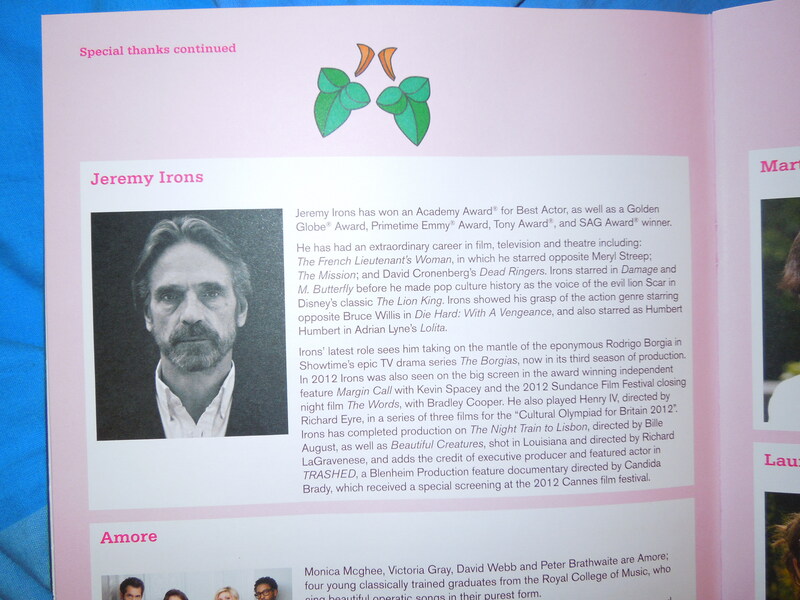 [Irons was also executive producer.] How did you come to be involved so intimately in this film? I wanted to help create a film on a subject of real social importance. Candida Brady and I talked over various possible subjects, but none, we felt, compared with the problem of waste, which affects us all, and which, despite all the evidence and research available, is not being seriously faced. I felt such a film should be made for theatrical release, rather than TV and such documentaries seem to need a personality on which to hang them. As an actor I’ve always seen myself as a sort of storyteller and my involvement in Trashed seemed a logical progression of that role. Apart from being the face on the screen, I was also able to help with raising the finance, and in persuading my friend Vangelis [who scored the film] to come on board with us. You travel widely in the film – Vietnam, France, Iceland, Beirut, San Francisco, Yorkshire, the world’s oceans – to report both on the problems and potential solutions associated with wasteful consumerism. Which places/people stood out for you – and why? Each place had its particular effect on me. Sidon [south of Beirut] showed me what happens if you do nothing. [The film shows a huge rubbish dump on the beach.] Iceland showed me how state agencies can so easily be seduced by experts who promise to make their problems go away, but who become conspicuously absent when their promises do not deliver. With so many “Waste to Energy” plants applying for planning in the UK, Iceland and France’s experience of them was a real eye-opener for me. The danger of dioxins in our environment, our food chain and our bodies is difficult to illustrate, since they are not visible to the naked eye. My time in Vietnam allowed me to see the result of large quantities of them, and therefore understand better the insidiousness of the smaller quantities that have found their way into our lives and bodies. Yorkshire and Gloucestershire, with their massive toxic waste mounds, showed me the extent of the problem in my own back yard. Since we filmed, these problems have been further exacerbated by the recent research showing that the clay used under liners, designed to prevent contamination of ground water, actually enhance the process of the toxins leaching out! And San Francisco gave me enormous hope that, if the will is there, then these problems can be dealt with, and in a commercially profitable way. The film talks about that much-used term – “zero waste”. How close can we ever realistically get to that goal? What’s more important to tackle at present: reducing our waste stream, or adopting more sensible ways to manage/dispose of our waste? San Francisco has actually reached 80% diversion or Zero Waste this year. New York, which creates 1.5% of total global waste, currently recycles only 15% of it. State and federal government should provide legislation which designs a waste management policy right across the country. In the UK there is a similar situation in that, depending where you live, the waste management policies and goals differ greatly. I believe that most people would like to cooperate in reducing waste, but to encourage them the national policy should be clear, well advertised and consistent. Even within Greater London there is a huge discrepancy between council policies. I believe a national waste management initiative should be designed and implemented by government. Not to burn it or bury it, but to design and encourage its reduction and recycling. This time of rising unemployment seems ideally suited to the creation of a new and forward-thinking industry that could be profitable and create new jobs. If we became world leaders in recycling technology, then that expertise could be exported around the world. The film is very critical of incineration and energy-from-waste plants, in particular the dioxins they release into the atmosphere. But was it proportionate to show footage of jars containing preserved foetuses with birth defects in a hospital in Vietnam to make the point about the health risk of exposure to high levels of dioxins? Can you really compare the health impact caused by the spraying of Agent Orange during the Vietnam war with the dioxins emitted by incinerators? To enlarge on my earlier answer, Candida Brady, the director, thought long and hard about this and decided to show the foetuses for two reasons; firstly, because dioxins and furans, PCBs, etc, are all just words, until you can actually see and understand the impact these compounds are capable of having in the human body and on life in general. We felt it was important to show this. And, secondly, a 2001 BBC Newsnight investigation found that ash from a London incinerator, dumped in the open, had a similar level of dioxins to Vietnamese soil after the spraying of Agent Orange. This is just one example we found. And it should be borne in mind that the monitoring of dioxin emissions in the UK could be described as casual, if not cavalier. Incinerator filters are only checked between two and four times annually for a few hours at a time. Even Belgium, which boasts the most advanced measuring system, only measures emissions over a two-week period, before averaging those emissions out over the year. Nowhere are emissions monitored constantly. So the truth is that the real quantity of dioxin emissions from incineration remains unknown. Finally, it is important to remember that, in the past, medical research generally looked only into the effects of these compounds at high dosage, whereas recently they have discovered evidence that dioxins are having an effect on foetuses at very, very low doses. 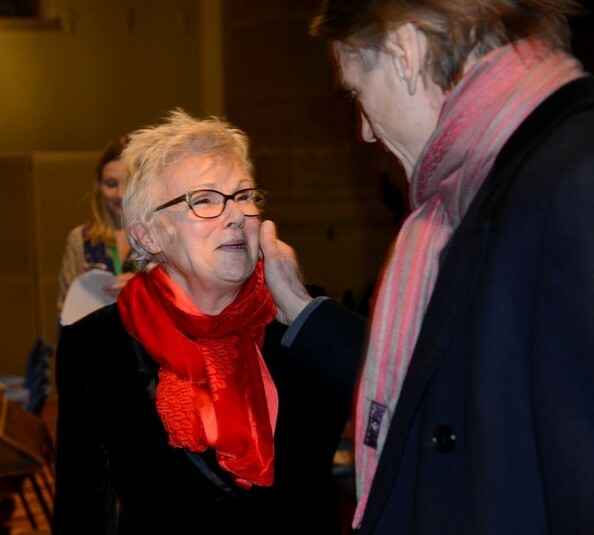 The film gives thanks to Sigrid Rausing at the end, presumably because she, or her trust, financially supported the film. Of course, the Rausing family famously made its fortune from food packaging. What message do you send to the packaging industry? Is it right to cast it as a “villain”? Or could it also be the key to solving our waste problem? Tetra Pak are a good example of a company working hard to produce recyclable products, and we are very grateful to the Rausing Trust for their involvement. 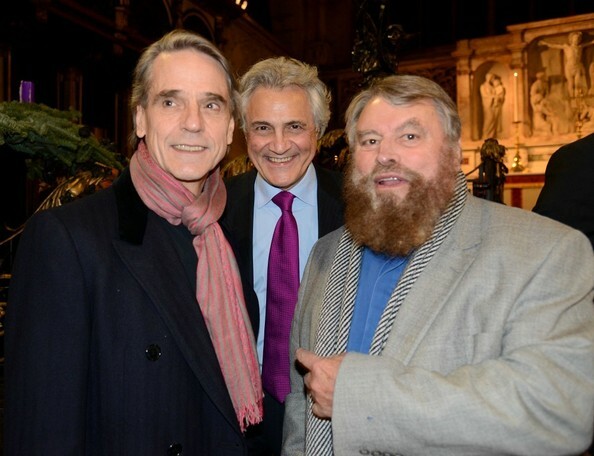 We tried not to cast any one as the villain in the film. Over-packaging is a complicated, though not insurmountable, problem. We have become used to food and consumables which are transported often over great distances. Intelligent packaging is essential, but I believe it should be reusable or returnable for reuse. Toxic chemicals used in the manufacture of food packaging is another, even more alarming, part of the problem. Four hundred million tonnes of chemicals are produced each year and according to a European Commission, information on the risks inherent in 99% of them is ‘sketchy’. This is a regulatory issue. We need to stop toxic chemicals being used in these products in the first place. You visit San Francisco at the end of the film and largely paint it as a beacon of hope – a place that’s “doing it right” when it comes to managing waste. What other examples of “hope” and best practice can you give? Happily, lots. There are wonderful things happening all around the world. From Nova Scotia to Kerala, Bristol to Melbourne, and even in the Philippines, zero waste is on the agenda. I think what’s particularly inspiring is when communities don’t wait to be told what to do, but just go ahead and do it. In northern Italy, many villages and towns have used their own initiative and achieved 70% diversion, in some cases, in less than a year. Are we, as individual consumers, ultimately responsible for this global waste problem? Or is, in reality, now the responsibility of politicians, regulators, industry leaders, etc, to sort it out? It is everyone’s problem and all of our responsibility. It’s time we were all informed and it’s time to get angry and maybe even a little ashamed of ourselves. But it must be up to our elected representatives to do what they were elected for. To represent the best interests of those who put them where they are. To organise a system that will cut the amount of waste we produce, both domestically and industrially, and to mount a campaign to encourage us to recycle and re-use. Our population, and especially our children, the next generation, needs educating about the present problem of waste. For instance, plastic bag usage has risen in the last year in the UK. If you knew that there was a chance that your plastic bag was going to come back to you in your food, you might think twice about using it. The joy of the problem, unlike so many which confront us, is that it is easily surmountable. When you were researching the film, what were your sources for information and inspiration? Was there, say, a book, film, or academic paper, that particularly influenced you? Candida Brady collected an amazing amount of research on the subject. She would pass me that information if and when I needed it. There are more than 81 peer-reviewed published scientific papers on the film’s website, most of them sources for the film. I think she would agree that the paper which disturbed her more than anything was a 2009 study of umbilical cord blood, which found up to 232 man-made industrial compounds and pollutants present in a child before it is even born. Ten out of ten babies were shown to have chlorinated dioxins in their blood. Who are you hoping will see the film? How/where will it be distributed? Television, theatrical release, festivals, schools? It opens in the US on the 14th December at The Quad in New York and Laemmle in LA. It will be released in South America and the UK in the spring, and we are presently finalising the distribution in Japan. Of course, I hope it will finally get distributed all around the globe, since this is clearly a global problem. We have plans to screen it for government, both in London and Washington, and I would hope that all local councils will be made aware of its presence. I cannot believe that once our policy makers have seen it they will not be forced to take action. But it is my dream to find a backer who would finance a shorter cut that we could send out to every school in the world to play in the classroom. I have no doubt, that if seen by the world’s children, then, if we don’t deal with the problem, they will. What do you want people to do once they’ve seen the film? I would like them to research whether there is a waste-to-energy plant planned for their area, and, if there is, to oppose it. If there is not, then to discover how their local council deals with their waste. I would like them to lobby their MPs for legislation designed to cut waste and to regulate the production of packaging, particularly plastics containing unreported toxins, and particularly where this packaging is used for foodstuffs and bottled water. I would like them to remove all packaging at the point of purchase, thereby pushing the problem one step back towards the manufacturers. I would like them to use their ingenuity to discover how they can reduce waste both at home and in their workplace. I would like everybody to give a good shopping bag to at least one person this Christmas. And I would like them to tell their friends to see Trashed. 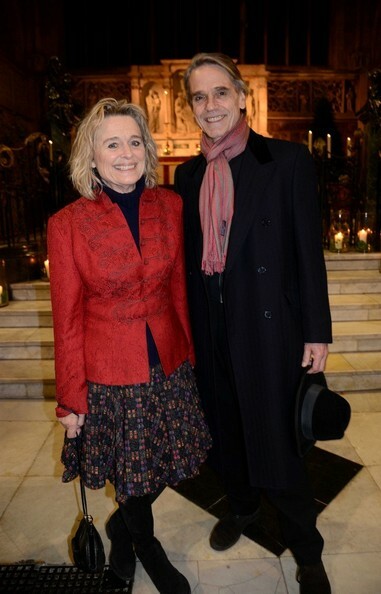 Jeremy Irons participated in a Christmas Carol Concert to benefit the Prince’s Foundation for Children and the Arts. 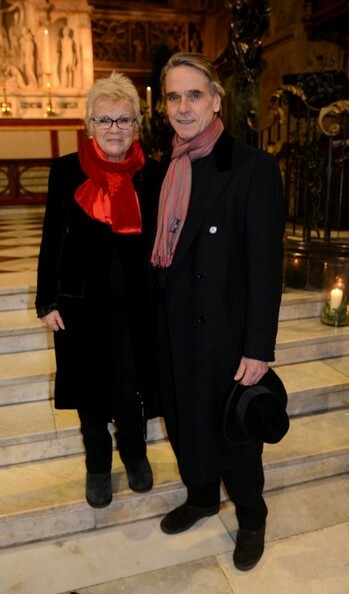 Jeremy read the poem “Christmas” by John Betjeman (text at the bottom of this post). 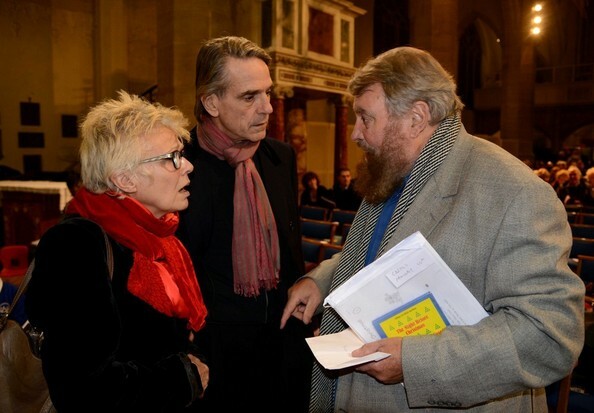 See an album of photos from the event HERE. 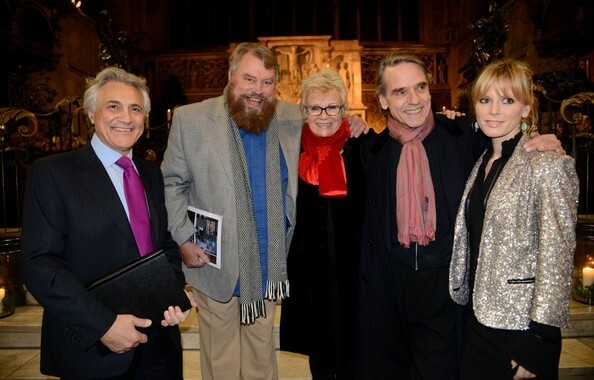 Join Children & the Arts at Holy Trinity for their sixth annual carol concert for a festive evening with special guests Julie Walters, Jeremy Irons, Emilia Fox, Brian Blessed, John Suchet, Laura van der Heijden and Amore. 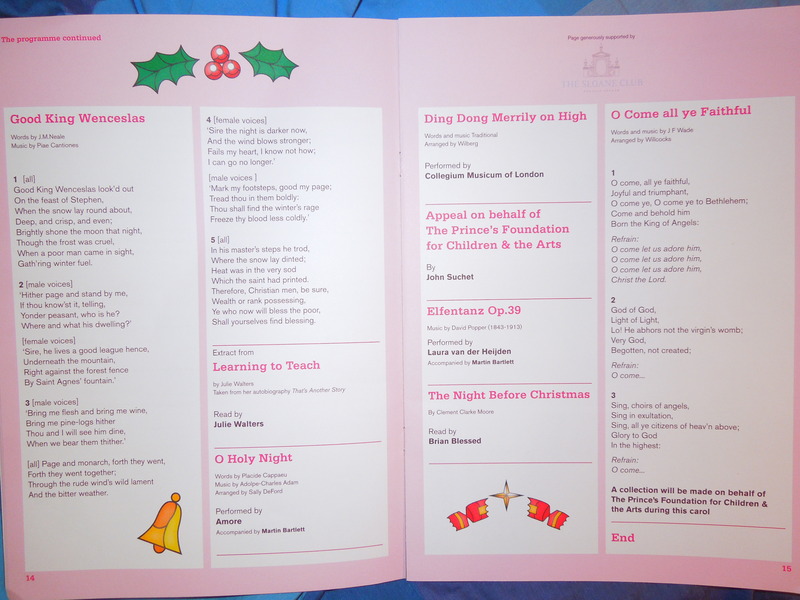 Collegium Musicum of London also perform. 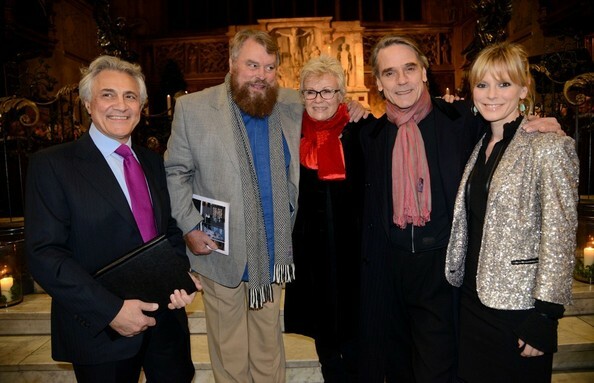 The Prince’s Foundation for Children & the Arts champions the power of the arts to transform the lives of disadvantaged children throughout the UK. 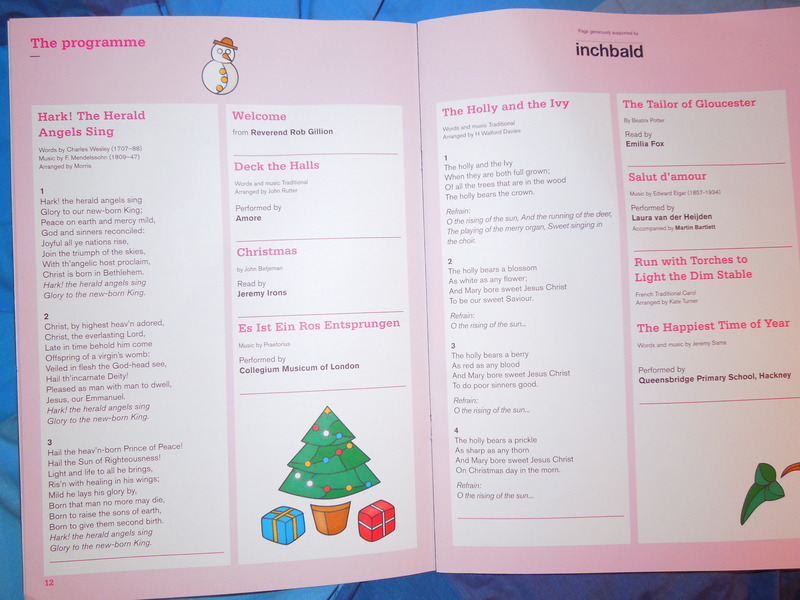 Since 2006 they have worked with over 100,000 children and have ambitious plans to build on this in future. A Baby in an ox’s stall ? Become a Child on earth for me ?